Those riding the Honda RCV1000R need more time to get to grips with the new machine. 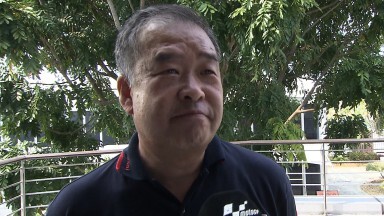 That is the opinion of Shuhei Nakamoto, HRC Executive Vice President, who shared his opinion on the situation at the end of last week’s Sepang test. There are four Honda RCV1000R bikes (originally dubbed the ‘Production Racer’) in the field this season. Two are run by Drive M7 Aspar, with Nicky Hayden and Hiroshi Aoyama at the helm, whereas others are piloted by GO&FUN Honda Gresini’s Scott Redding and Cardion AB Motoracing’s Karel Abraham. However, during the Malaysian test the bike’s performance came under fire. "With the lack of power there is not really a whole lot we can do here, but we know we are lacking in that area so we know we have to try and improve something because at the moment it is a bit demoralising," commented 2006 Champion Hayden. "I agree with Nicky about the bottom power," Redding added. "When I follow Colin Edwards or Aleix Espargaro (FTR-Yamaha, NGM Mobile Forward Racing), these guys are just pulling away on the exits of tight corners. For me, the top speed is not that different, but just the initial exit. The Yamaha holds the front down and is driving forward – they generally look like they have more power." 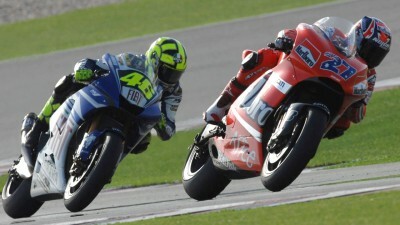 "The gap is big but, to be honest, Honda’s machines are not easy to ride. The riders need a bit more time to understand how the machine is. We believe the riders are able to achieve a constant level." "With Honda, our style is that we never stop the development – and not only the Factory machine. If we find something better, we will immediately supply it to the team. Sometimes we ask them for some extra cost, but if it is something like a piston then; a piston is a piston and we would never ask for anything from the team." In contrast, the new FTR-Yamaha package of Forward Racing made headlines for other reasons as Aleix Espargaro finished the test fourth overall. Afterwards, tyre supplier Bridgestone confirmed that the Open specification machines (including both the Honda RCV1000R and the FTR-Yamaha) will be supplied this season with the softer compound rear tyre, as previously used by CRT bikes.